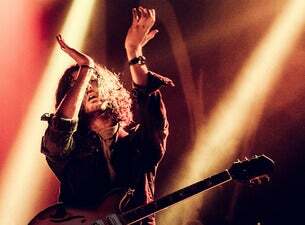 HOZIER has announced his highly anticipated return to New Zealand to perform one headlining show at Auckland’s Spark Arena on Sunday April 28 2019. This will be Hozier’s first show in New Zealand since performing a sell out show at Spark Arena in 2015 and the first time fans will get to hear material from his celebrated new EP ‘Nina Cried Power’. Tickets for the one show go on sale at 12pm Friday December 14. My Live Nation members may also secure tickets first during the pre-sale beginning 11am Thursday December 13 until 11am Friday December 14. For complete tour and ticket information visit: livenation.co.nz. Acclaim for Hozier’s recent shows and newly-released music has been widespread. The Guardian dubbed the lead single ‘Nina Cried Power’ as “startling”, with The Evening Standard commenting in their 5* live review that “Hozier’s watertight backing band wreathed the choruses in four-part harmonies, elevating his new songs into the realms of the celestial”. Hozier’s EP ‘Nina Cried Power’ is out now, and has already been streamed over 8 million times on Spotify. Consisting of four brand new tracks written and performed by Hozier, the EP’s lead single features legendary soul/gospel singer Mavis Staples, with iconic musician Booker T Jones on organ. Born Andrew Hozier-Byrne, Hozier is an award-winning musician, singer and songwriter from Ireland. His number one, debut studio album ‘Hozier’ was released in October 2014 and includes the multi-Platinum, Grammy-nominated anthem 'Take Me To Church'. Hozier returns to New Zealand for one Auckland show in April 2019.